This particular Adams Custom CC Tuba is made of gold brass with a silver-plated finish, and has a .80mm wall thickness. 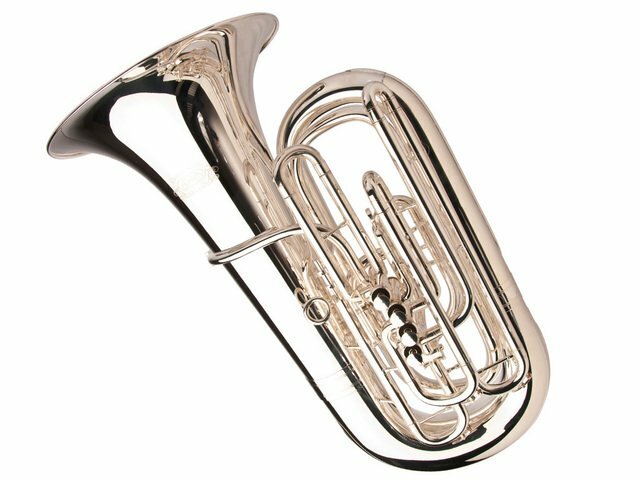 Manufacturer's Comments: The geometry of the Adams C tuba ensures an extremely powerful and dark tone with plenty of core. When testing and adjusting the C tuba, we focussed on crafting an instrument with great projection and a rich overtone spectrum that would sound impressive in any large concert hall.